Culinary Depot has been building, renovating, and servicing commercial kitchens for hospitals, schools, hotels and restaurants since 1999. We are uniquely equipped to help you build a kitchen that truly meets your needs—on budget, on target, and on time. 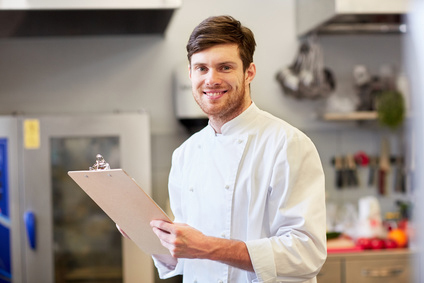 From concept to completion or anywhere in between, Culinary Depot can give you all the benefits of a full-service foodservice equipment contractor. Unlike many other businesses, Culinary Depot was not conceived in the corporate boardroom or at an investors’ meeting. Rather, the ideals that guide every aspect of our company were shaped in the heat of a kitchen, where Sholem Potash, president and founder, spent decades preparing mass quality meals for schoolchildren and hotel guests. At its heart, Culinary Depot understands that every chef, dietary director, establishment, and institution has different needs. Our overriding principle—as an upstart in 1999 and today—is to work with each customer every step of the way and to help them meet his/her individual foodservice goals in the most practical, time efficient, and cost effective manner. Our highly motivated project management and sales team, backed by a solid relationship with a cross section of industry suppliers, enables Culinary Depot to constantly remain on the cutting edge of the industry. We offer a full line of the most innovative products on the market as well as the guidance to integrate the most suitable equipment within the applicable logistics. At the intersection of food service and innovation, you will find Culinary Depot diligently working to service our customers’ best interests and providing unsurpassed knowledge, experience, and dedication. Our goal and vision is to continue to provide our customers with excellent service in the pursuit to perfection, while also expanding and innovating within our industry. We also seek to provide our team of employees with a creative and appreciative work environment. We believe their success is our success and we encourage them to dream big! To create a food service experience by providing the contractor and operator with the knowledge, equipment and supplies best suited for their needs.